The new IoT edge computing gateway of InHand aims to utilize IoT technologies to support the digital transformation of industries. The product features powerful edge computing capabilities, to reduce cloud-end computing resources, and realize data optimization, real-time response, agile connection and model analysis on the IoT edge, further advancing the development of digital networking in the AI era. 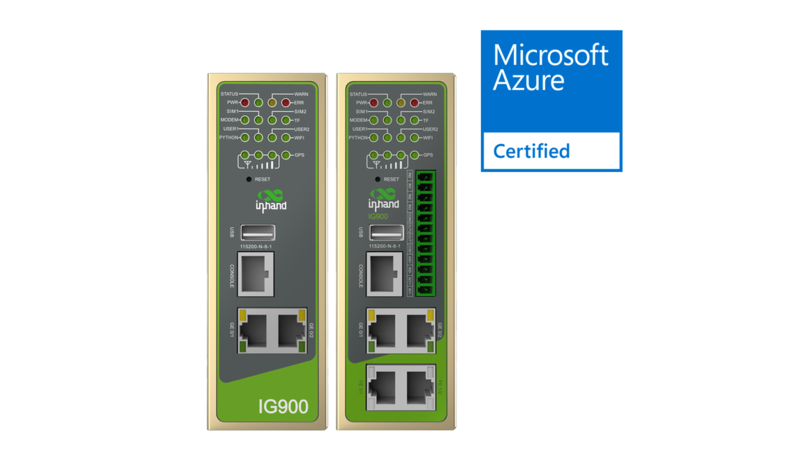 The InGateway900 is a certified Microsoft Azure IoT Device.